We left home on 25 April, spent a couple of nights in Birmingham followed by a couple in Folkestone, arriving in France on Friday 28 April. Stopped in Guine for a night, then Guignecourt for a night grabbing some groceries on the way. 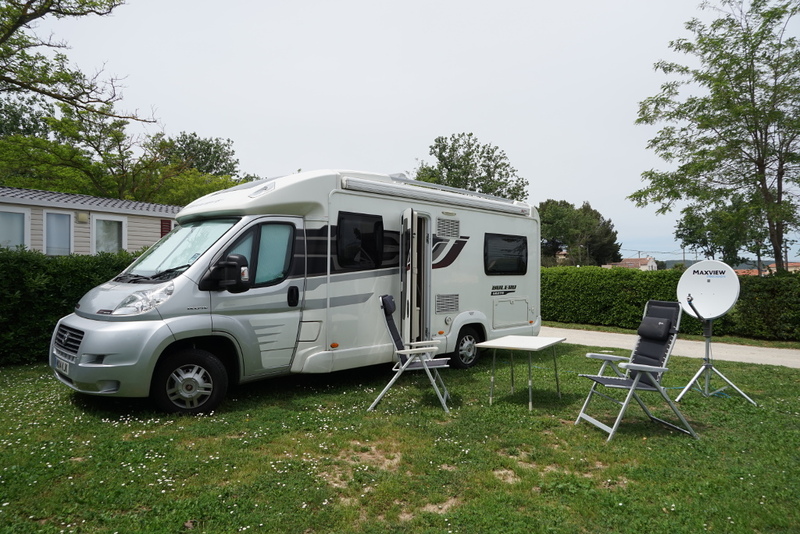 Sunday very windy so only made it as far as Langres, stopping for two nights to get a break from the driving. Next on to Macon for a night at the municipal site. Would have stayed for two, but the place seems to be getting a bit expensive for what it Is, these days. Wednesday 10 May we find ourselves in Massane Plage, a place we are getting to know well, on the Etang de Berre. Beach across the road with a bar and takeaway, big, private pitches and only 15 Euros a night. Ready to watch Spanish GP. This entry was posted in France - Spring 2017 on May 20, 2017 by Kenny Mitchell.